E-Coffee Cups: Eco-friendly re-usable coffee cups. Organic bamboo cups with silicone 'sleeve' and lid with cap. 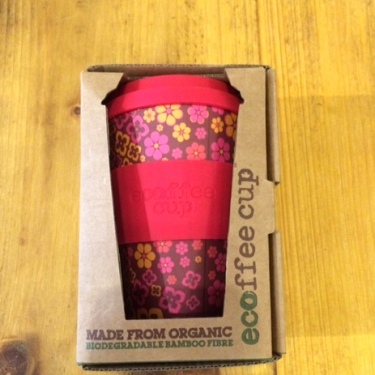 Saves on landfill: disposable paper coffee cups are difficult to recycle, instead simply take your reusable bamboo cup to your favourite coffee house - you might even get some discount!